Date posted: May 7, 2014 by: JasonDarkX2 Category: Gaming 2 comments. 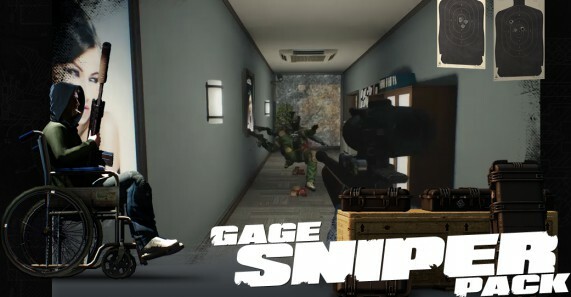 PayDay 2 gage Sniper pack revealed today and ready to go tomorrow o.O Thursday May 8, 2013 along with the next major update for PayDay 2 PC patch 27. Seriously just when I was starting to get burned out from playing PayDay 2 they bring out new content just in time to keep it fresh. Click here to go check out my Pay Day 2 review that I recently posted if you’re contemplated about getting the game. Otherwise here’s what to expect from Sniper pack. Meh, here I am stuck with the Xbox version.